Commercial audio visual systems for presentation and communication, fully integrated into your network. Audio Visual Systems for the home, including media centres, home cinema and home automation. We help schools and colleges maximise their potential with interactive audio visual teaching solutions. When it comes to audio visual systems, finding a company with the expertise for design, integration, installation and support is essential. Cre8AV have been working with business and education for over ten years, enabling organisations to utilise technology for maximum communication benefits. 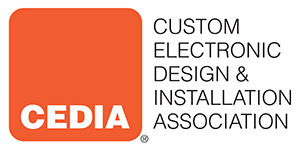 We are also a member of CEDIA – The Custom Electronic Design & Installation Association.